Police are on the hunt for “brazen” thieves who stole diamond rings worth more than £2million in broad daylight. Three rings, collectively worth upwards of £2million, were stolen from a cabinet at the Masterpiece London 2017 event at the Royal Hospital Chelsea . It is believed the high value rings were stolen at around 5.30pm at the event in Royal Hospital Road, on Tuesday (July 4). 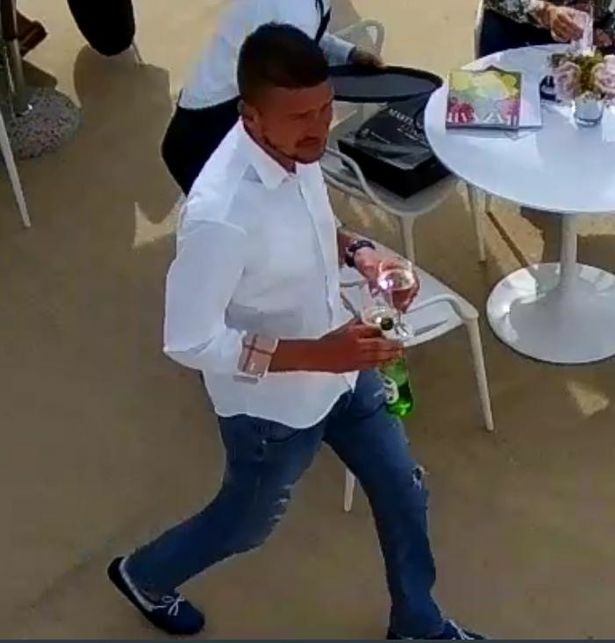 Officers have now released CCTV stills of two people at the art fair they would like to identify, trace and speak to in connection with the theft. Detective Sergeant Chris Taylor, from Kensington and Chelsea Borough, who is leading the investigation, said: “This was a brazen theft carried out in the middle of the afternoon when there were lots of people attending the event at Royal Hospital Chelsea. “We have carried out extensive enquiries and reviewed CCTV footage, and we have released images of two men we would like to trace and speak to. “Both men are wearing distinctive brightly-coloured driving shoes. Did you attend the event and notice these men? Or have you come across the rings at all? There have been no arrests and police continue their enquiries. Anyone who recognises either of these two men, or those who have any information about the theft, call Kensington and Chelsea CID on 020 8246 0186 or 101, or report information via Twitter @MetCC.